Disclosure: I received this book from the Publisher/Author in exchange for an impartial review. This is an unpaid/unsponsored post. If you know me well, you'll know I've devoured all of Danielle Paige's novels to date. Her Dorothy Must Die series and Stealing Snow books have always held a special place in my heart (and bookshelf). 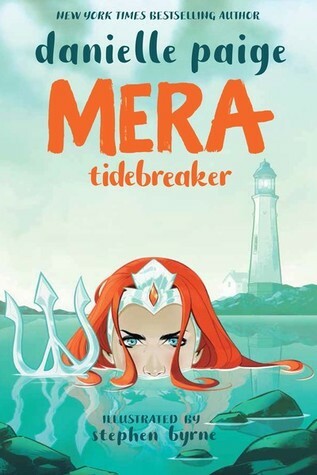 So it's no surprise I jumped on the Blog Tour for Mera: Tidebreaker. I've always been a huge DC Fan (sorry Marvel fans!) and I have a few Comics (The Flash, Arrow, Supergirl, etc) so getting to add a Graphic novel to my TBR was so refreshing! If you're familiar with Aquaman, you might know of Mera. I sadly didn't know who she was until around a year ago when they brought her to the big screen with the DC Franchise. I'm all about Girl Power™, so getting to see Mera shine in her own light and not underneath the shadow of Aquaman (although this is a sort of origin of them both) in her own Graphic Novel was amazing. Mera is a teenager (around sixteen I believe) and already royalty, an heir to the throne of Xebel, a colony underwater. But her destiny isn't so straight forward under the sea, and now on land. Mera is thrown when the people of Xebel want her to wreck havoc in the homeland of Atlantis (I've always associated this with The Little Mermaid, somehow) and kill the heir to the throne, one Arthur Curry, aka Aquaman as we'll come to know him. But between the colonies, a different kind of feeling brews: love. Mera and Arthur fall head over heels for each other, quite quickly inside the pages. But the question of whether he'll come to demise under her demands to have him killed, or rule alongside him, begs the ultimate finale of under-the-sea war, love and stripping free. Overall, I'm surprised at how much I utterly loved Mera. Whether it was her strikingly red hair that vividly gathered my eye-line every page, the fast-paced action-meets-backstory or underlying love aspect, it blew me away with every turn of the page. The colours and palettes of Mera are cool, blues, greens and reds, unique in every way. Although I did feel that the plot moved very quickly, sometimes too quickly, I know this is the way that comic books tend to reel on as they're differently written and planned out to regular novels. Despite this, I was still blown away with how much I completely loved Mera. Danielle Paige has outdone herself with the captivating story and brilliance behind Mera's and Arthur's backstory. Four amazing stars! Danielle Paige is the author of the New York Times bestseller Stealing Snow and its prequel novellas Before the Snow and Queen Rising, as well as the New York Times best-selling Dorothy Must Die series: Dorothy Must Die, The Wicked Will Rise, Yellow Brick War, The End of Oz, and seven prequel novellas. Before turning to young adult literature, she worked in the television industry, where she received a Writers Guild of America Award and was nominated for several Daytime Emmys. She is a graduate of Columbia University and currently lives in New York City. 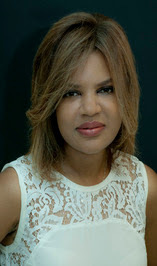 Visit her online at www.daniellepaigebooks.com and on Twitter at @daniellempaige. 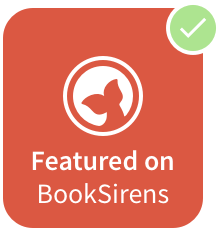 Have you read Mera: Tidebreaker? What are your thoughts on Graphic Novels? Let me know in the comments or on twitter @LittleMemoirs using the tag #MERATidebreaker! 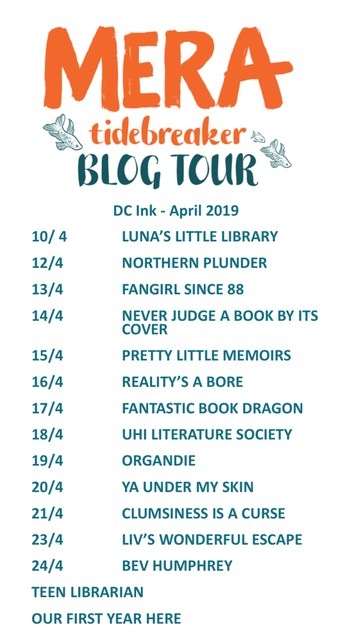 Don't forget to check out the other Blog Dates above on the tour!